Perhaps the greatest indicator of what will happen in any given administration is the people that are picked for the top posts. I have watched this for many decades for both Democratic and Republican administrations and their choices, like the canaries in the coal mine, tell you what to expect and what to fear. This is especially the case in the foreign and national security area as the consequences can be catastrophic rather quickly and can make for disastrous long-term trends. It tells us also how Trump intends to govern, or is it rule? Bad choices often have a very high price in such areas as climate change, conflicts in the Middle East, dealing with our allies, and working with Russia and China, as well as dealing with nuclear weapons and getting our critical intelligence right and not politicized. But the names that have so far emerge have shown a dangerous trend. It is not unlike the naming of Stephen Bannon as Counselor to the President and chief strategist and essentially policy co-equal to the White House Chief-of-Staff. In his case we have next to the president’s office a racist, bigoted and alt-right Breitbart News head which has spewed the media and our citizens with hate of just about every minority and group one can conjure up. The exception is the KKK, which endorsed Trump and rejoices in the lifting up of Bannon as one its own. That act alone has cost us greatly in every decent nation and with citizens around the world that prize decency towards all and the worth of every human being. It has given inspiration to every fascist group and dictator around the world and at home. That one appointment alone says much of what the new administration will be like. Just so is the case with the national security and foreign policy choices that have for some appointments come out of the Trump Tower. Here is the latest developments for the key foreign and national security posts: They are all critical positions of importance like Secretary of State, the Secretary of Defense, the heads of the intelligence agencies, and the National Security Advisor to the President, who heads the National Security Council. We need to remember that for the Chiefs-of-Staff of the Armed Forces Trump gets to have the last say on appointments. The Department of State is a critical position as John Kerry has already demonstrated in his unbelievable efforts to act as peacemaker, peacekeeper and “Crisis Manager In-Chief”. The current crop of “likely suspects” has already been bantered around by leaks and media speculation. For the Department of State such names as Rudy Giuliani, John Bolton, and perhaps a more responsible individual Stephen Hadley, a former George W. Bush national security adviser, who unlike some other Bush types abstained from criticizing Trump during the campaign. The other candidates according to the New York Times are: Senator from Tennessee and chairman of the Senate Foreign Relations Committee Bob Corker, who has many strange ideas about foreign affairs and has been very partisan. South Carolina Governor Nikki R. Haley is on the list, with zero international experience, as are Former United States ambassador to Afghanistan and Iraq Zalmay Khalilzad, former senior military commander in Afghanistan Stanley A. McChrystal, and finally the 2012 Republican presidential nominee and former governor of Massachusetts Mitt Romney. What can be said of the above group is that only Khalilzad and McChrystal have any relevant experience but each have serious faults and problems of their own, and the rest are utterly the worst possible candidates for this demanding job I have seen in 50 years of studying State secretaries or 25 years of working with them as a Member of their Policy Planning Staff and a Foreign Service Officer. They are a kind of joke and likely a disaster in any high foreign affairs position. As for Gingrich, other than being a virulent extreme Trump pawn, he is as emotionally, morally, and in terms of wisdom in foreign affairs as unfit for any high office as one can think of and especially the Secretary of State. He has now taken his name off the list and seeks at the moment to merely be an outside advisor. For the position of National Security Advisor Lt. General Michael T. Flynn is to be the pick. He is a man much disliked and mistrusted in national security circles both Democrat and Republican, A irresponsible man who’s hawkish stances include views that the highest risk to America is “Islamist militancy” and according to a New York Times article will revive George W. Bush’s global war against terrorism. He also has many conflicts of interest due to his financial connection to such authoritarian regime as Turkey where he, while working with Trump, lobbied for the extradition of a political opponent of Turkey’s president. For the Department of Defense one option that has been suggested is 39 year old Arkansas Senator Tom Cotton, who saw combat in Iraq and Afghanistan as an Army infantry officer and serves on the Armed Services Committee and the select committee on intelligence of the Senate. Stephen Hadley, national security adviser under George W. Bush is now also thought to be a possible candidate, but some sources have ruled him out. Duncan D. Hunter has also been named as possible for Defense Secretary. He is a Representative from California, a former Marine Officer who served in Iraq and Afghanistan, just 39 years old, serves on Armed Services Committee, and was among the first two Members of the House to endorse Trump. Jon Kyl, former Senator from Arizona with a far right reputation, has also been named as a possible pick and former Senator from Missouri Jim Talent, has been cited in the press as another. Finally and not least, James N. Mattis, Retired Marine Corps general and former commander of United States Central Command has risen in the ranks for possible nomination. Rep. Mike Pompeo, has been chosen for the job of Director of the Central Intelligence Agency (CIA). He is on the House Permanent Select Committee on Intelligence, and United States House Select Committee on Events Surrounding the Twenty Twelve Terrorist Attack in Benghazi. In that role he as been among the most wild partisan attack dogs against Hillary Clinton, ignoring almost all official reports that she was not to blame for the Benghazi events. For the position of Director of National Intelligence (DNI), who overseas all of the intelligence agencies, National Security Agency Director Admiral Mike Rogers is the leading candidate. Rogers met with Trump on Thursday and his transition team on Friday. Rudy Giuliani is also being considered for DNI, where he would be just as hopelessly unqualified as Secretary of State. But with the pick of Senator Jeff Sessions, we not only get an Attorney General who has a racist past and can OK now illegal torture and other actions including illegal surveillance, but one who can also use the FBI to punish political opposition — like the “throw her in jail” or registration of Muslims calls made during the campaign by Trump and others in his motley team. We could see a halting in enforcement of civil rights laws in America. These actions will likely be upheld by the Supreme Court with a new Trump pick who’s qualification is holding the most extreme views on all civil liberty, democratic voting protection, and fair governance, and agreeing with illegal presidential orders. He would in effect essentially be a marionette responding yes to any request in the hands of Trump and his far right and racist views. These picks will not least sadly give cover to every obscene brutal act by foreign rulers around the world. The only way I can sum up the meaning of these appointments is that he has chosen either just compliant stooges or puppets or simply dangerous and unqualified and unbalanced people who can do great damage to our nation. It can also do the same to our globe community by their acts of stupidity, crassness, and evil intent in opposition to every democratic, humanitarian, and decent moral value in existence. More appointments are coming, but these early ones do not signal well for constructive American leadership in the world nor for our well-being and democracy at home. We welcome your comments, click here for our comments section! In this series, we will be looking at positions taken by the Republican Party in their 2016 Platform on issues pertaining to national security. Next up is International Institutions. A commentary on the platform issue will be found at its end. Our Unequivocal Support for Israel Like the United States of America, the modern state of Israel is a country born from the aspiration for freedom and stands out among the nations as a beacon of democracy and humanity. Beyond our mutual strategic interests, Israel is likewise an exceptional country that shares our most essential values. It is the only country in the Middle East where freedom of speech and freedom of religion are found. Therefore, support for Israel is an expression of Americanism, and it is the responsibility of our government to advance policies that reflect Americans’ strong desire for a relationship with no daylight between America and Israel. We recognize Jerusalem as the eternal and indivisible capital of the Jewish state and call for the American embassy to be moved there in fulfillment of U.S. law. We reaffirm America’s commitment to Israel’s security and will ensure that Israel maintains a qualitative military edge over any and all adversaries. We support Israel’s right and obligation to defend itself against terror attacks upon its people and against alternative forms of warfare being waged upon it legally, economically, culturally, and otherwise. We reject the false notion that Israel is an occupier and specifically recognize that the Boycott, Divestment, and Sanctions Movement (BDS) is anti-Semitic in nature and seeks to destroy Israel. Therefore, we call for effective legislation to thwart actions that are intended to limit commercial relations with Israel, or persons or entities doing business in Israel or in Israeli-controlled territories, in a discriminatory manner. The United States seeks to assist in the establishment of comprehensive and lasting peace in the Middle East, to be negotiated among those living in the region. We oppose any measures intended to impose an agreement or to dictate borders or other terms, and we call for the immediate termination of all U.S. funding of any entity that attempts to do so. Our party is proud to stand with Israel now and always. “We reject the false notion that Israel is an occupier, and specifically recognize that the Boycott, Divestment, and Sanctions Movement (“BDS”) is anti-Semitic in nature and seeks to destroy Israel,” the new version read. There is little room for honest debate about how to deal with the Israeli-Palestinian conflict or solutions other than blind support of the present Israeli right-wing hawkish government. No hint that such a path in fact, as Israeli former security and intelligence chiefs have noted, that the present policies will increase dangers to Israel’s security not lessen it. There is no room for effort by the US other nations and international bodies whose job is to prevent war and safeguard humanitarian outrages from either side. The threat to take away American funding and support to any organization that might want to act to solve the conflict is an unprecedented threat to peace making and international diplomacy, let alone an effort to silence any voices here or abroad that question the present Israeli government’s stance, no matter how misplaced and dangerous to international peace, regional security, and justice for both sides it is. It asks America to take sides with actions that can only lead to more dangers for Israel and its people, as well as the region. The statement in the passed amendment that Israel is not an occupier is a factual lie under international law. Israel exercises authority via its military over Palestine and its people against their will and the entire world recognizes this reality. It assumes that any action by Israel’s present government must be in our interest, no matter what it might be — including violating of human rights, illegal actions, the deliberate killing of innocent civilians — and that we would go to war to defend these actions. This simply is madness and blind adherence to a set of policies and actions that would make peace in the Middle East even more difficult. It would be contrary to Israel’s own long-term security, and isolate America from the rest of the international community — including our European allies — which supports, as we do now, the Two State Solution and opposes illegal settlements in the occupied Palestinian areas. While this is a crude play for those voters that support Israel, it is in reality an outreach to those that support an aggressive and belligerent Israel that they want to America blindly to endorse — one led by a leader that has disrespected our elected President and has played partisan games of division with domestic American politics and made racist names for even his own Arab citizens. The fact is that the majority of Jews in America, according to polls, want to see peace in the Middle East through a binding and fair solution for all sides that will finally put to rest the march towards madness and self-inflected risks and the unending conflict. There is, in sum, no balance in this platform for lasting peace. See our forthcoming coverage of the Democract platform on national security and foreign policiy statements coming soon. In this series, we will be looking at positions taken by the Republican Party in their 2016 Platform on issues pertaining to national security. Next up is the Middle East. A commentary on the platform issue will be found at its end. We consider the Administration’s deal with Iran, to lift international sanctions and make hundreds of billions of dollars available to the Mullahs, a personal agreement between the President and his negotiating partners and non-binding on the next president. Without a two-thirds endorsement by the Senate, it does not have treaty status. Because of it, the defiant and emboldened regime in Tehran continues to sponsor terrorism across the region, develop a nuclear weapon, test-fire ballistic missiles inscribed with “Death to Israel,” and abuse the basic human rights of its citizens. A Republican president will not be bound by it. We must retain all options in dealing with a situation that gravely threatens our security, our interests, and the survival of our friends. Over the last four years we have seen the rise of a murderous fanaticism in the form of ISIS, the so called Islamic State. Its reach now extends far beyond the Middle East to virtually every continent. ISIS has brought ancient butchery into the 21st century. Nations are imploding, erasing long-established borders. The Obama Administration and its Secretary of State so mishandled the Arab Spring that it destabilized the entire region. The hope some saw in the Arab Spring has transformed into disappointment. The dictator of Syria, Bashar Assad, has murdered hundreds of thousands of his own people and created millions of refugees, and an American president has been unable to rally the world against him. Understandably, our allies fear for their future in a region far more dangerous than it was eight years ago. A Republican administration will restore our nation’s credibility. We must stand up for our friends, challenge our foes, and destroy ISIS. Hezbollah, controlling over 100,000 missiles in Lebanon, must be isolated and Lebanon’s independence restored. We will support the transition to a post-Assad Syrian government that is representative of its people, protects the rights of all minorities and religions, respects the territorial integrity of its neighbors, and contributes to peace and stability in the region. The Iraqi people have been on the front lines in the fight against terror. Hundreds of thousands have been killed, and the attacks against them continue, even in Baghdad. Our partnership with them should continue as long as ISIS and others like it survive in the region. We are deeply concerned that, in the face of genocide against them, Christian communities in cities like Gerbil are receiving no financial support from either the U.S. government or the UN to help with displaced persons and urban refugees. Their survival is sustained only by private charities. This must change immediately. Defeating ISIS means more than pushing back its fighters while abandoning its victims. It must mean aiding those who have suffered the most — and doing so before they starve. It means supporting the long-term survival of indigenous religious and ethnic communities, punishing the perpetrators of crimes against humanity, and conditioning humanitarian and military assistance to governments on their observable commitment to human rights. We continue to support the Kurdish people, whose bravery and cooperation with our forces merit our respect and their autonomy. Many countries in the region have given, and continue to give, substantial assistance to the United States because they understand that our struggle against terrorism is not an ethnic or religious fight. They consider violent extremists to be abusers of their faith, not its champions. We applaud their courage and value their counsel. The U.S. government, together with its global partners, should mobilize its political, economic, and military assets to support the creation of a safe haven in northern Iraq to protect those ethnic and religious minorities continuing of ISIS. This is the usual criticism without a clear answer and examination of the risks and cost of any alternative policies and actions. Just looking at a few of their statements and positions we see how far away the Republican Party is from the reality is on the ground. They have avoided sending troops into the Middle East to be killed for no good reason after the results of Bush II and the neo-cons that still advocate more “war” without reason. They have sent in non-combat troops and provided training, advice, and resources, and the reality is that those in Iraq have made astonishing progress so far with minimum costs in American blood and resources. This is a war the Iraqi multi-ethic combined forces need to fight. In fact the Obama/Kerry strategy has shown that ISIS can be reduced by just the strategy and approach that Obama has decreed and the military has instituted. In Syria I know of few good options and it is certain that the GOP will not come up with any that won’t shed American blood or make the situation worse, as we did in Iraq in 2003. I have no idea what the platform means to create a “safe haven” in Iraq and I am not sure the drafters know either. The idea of a “no fly zone” in Syria has been examined and former Secretary Clinton is said to have supported it in the past, but the military say that it is not feasible. Perhaps this needs to be looked at again with care but not without a full assessment of its feasibility. As for Iran, the nuclear deal has so far been a sound success regarding its sole aim to prevent Iran from building a nuclear weapon and its related technology. In the GOP platform is a direct lie in saying that Iran “develop[ed] a nuclear weapon,” the word for this factually untrue statement is its boldness and mendacity to scare people. The GOP may wish to take away this victory of American and allied diplomacy just when it achieves our key objective. It would be the height of stupidity and dangerous to the whole region if we renounced the Iran deal and consequently permitted Iran to start immediately building nuclear weapons, especially because of the possibility of others in the region to build their own as a reaction. The word stupid hardly covers this disastrous position. Regarding the empty rhetorical points and lies about the tragic situation in Syria, which is dangerous, complex, and risky and where America has indeed rallied allies and with them to engage in this murky environment in both diplomacy and assistance to moderate elements against both ISIS and Assad, I see not a single suggestion from Trump and his ilk on how to do better and not with more cost to US lives. Not to mention without even greater civilian deaths and any assurance of a true end point in which that country can return to security, democracy, peace, and the elimination of conflict between the many powers now involved — including Russia and various Shia groups. All the Republicans can offer is a man without any knowledge of foreign affairs and with the least regard to truth and facts on the ground. The danger of these positions and the baseless and wrong views of past and present conditions and risks is a show of deep ignorance and irresponsible stances. The point on “abandoning” its victims, read civilians and refugees, is a canard. America has contributed hundreds of millions of dollars to support displaced persons and refugees under Obama via the UN system including UNHCR, our aid programs, and NGOs and other relief groups. More than anyone else. The Republican controlled Congress can pass a bill tomorrow to increase aid by billions of dollars, without cutting any assistance to other vulnerable groups or from any other programs, and Obama would sign the bill overnight. This is a plain hypocritical stance that uses the suffering of others for partisan political points and doing nothing to solve the problem. Also the fact is that many places, especially cities, are inaccessible to safely provide assistance due to the military action of Assad and the Russians blocking assistance. How would Trump change that? Secretary Kerry is trying to change this via diplomacy as this is being written. In short, this GOP platform is filled with misstatements, very bad ideas, platitudes, and little of positive new practical or useful ideas on how to solve the many problems of the Middle East. It show the shallowness of Trump’s perspective on a critical issue and even of the Republican Party. On July 6th, against the background of the Brexit referendum, the long-awaited report (click here to read) by Sir John Chilcot on the British participation in Iraq War was released after seven years. The Inquiry had approximately 2.6 million words that condemned the British decision to invade and the subsequent conduct of the Iraq War. Chilcot and the report concluded that Britain went to war on the basis of unreliable intelligence. He added that planning for war was totally inadequate, concluding that there was insufficient debate on the decision. Chilcot further said that “in March of 2003, there was no imminent threat from the Saddam Hussein regime.” The implication was that the military action taken was not justified. There was much criticism of the UK intelligence agencies, and in time more will likely come out on this in the UK and with implications also for the US intelligence agencies. Some have said the intelligence reports were flimsy and that MI6 in particular has been highly criticized. The report found that diplomatic options had not been fully explored before the decision was made to go to war. This is a lesson today for both the UK and the US. The families of the troops that were killed have supported the report and have both questioned how and why all went wrong in the buildup to war and argued for Blair to pay in some way for the cost of his actions. There has been talk about a legal action either domestically or in an international court. From a legal perspective, that is highly unlikely, however. But emotions will remain for a long time. The media has been exceptionally critical of Blair to the point of imbalance and unfairness, which indicates that the issue has created massive anger and bitterness in Britain. After the release of the report, former Prime Minister Tony Blair held a two hour press conference (coverage linked above) in which he said he did not regret his decision to invade, which he said was the hardest of his term in office. He said he made the initial decision “in good faith,” adding that he “did not have the option to delay in response to the quick decision.” He also said he had more sorrow and regret over the decision than others will ever believe. In a 2002 memo to Bush, Blair said “I will be with you, whatever.” But he added, which the UK media did not fully report, that he also wrote that all of the difficulties must be examined. He said it was a good act to get rid of Saddam Hussein, but added that they underestimated the potential for subsequent upheavals. There was also criticism in the report that the UK military and intelligence leaders were under-resourced, arguing that the troops did not have the tools to do their best and do it safely. Some of the commentators have noted Blair’s efforts to moderate US Policies, which in the end were only partly successful. They noted in particular the effort to go to the UN Security Council to get the authority to go to war, which was stopped by a veto by Russia. Neither the report nor Blair’s statement will put an end to the politics of this emotional issue for many years. It is still unclear if some kind of general agreement on what took place has finally been reached. I doubt that there will be much relief from the bitterness and acrimony that clouds British politics and society. The report and the response by Blair will sadly not lay to rest the criticism or the bitter debate in Britain about the Iraq War. It will continue to influence public and governmental attitudes towards going into conflict situations for a very long time. In America, this report will likely continue the debate (which has never stopped) over the wisdom of the US decision to go to war in Iraq. That was, in my view, an unforgivable act by the George W. Bush administration and one that was based, as we all know now, on lies and false intelligence reports by our own agencies. Blair’s most relevant statement for the world of 2016 was that “we do not have the right strategy to deal with terrorism.” That is, as they say, a British understatement. On this Blair is quite right. We all need to re-think our global strategy and it will take a united effort and deep assessment to go forward with new military conflicts. I have argued that we need always to seriously assess the costs before going into conflict situations. Decision makers must consider the consequences of our actions. One clear failure was the poor policies and efforts to deal with the post-conflict need to establish security and ensure a stable government in Iraq. Neither America nor Britain took this problem seriously. Both the US report (which was critical of many decisions by the Bush administration) and the UK report made it clear that both governments did not understand the high potential costs of their actions. As Chilcot said, the consequences of the war were misjudged. I hope that, in time, these reports and a more historic assessment will compel both nations to make future decisions based on a careful debate on a long-term strategic and moral judgment, as well as look at the facts on the ground. War is always costly and sometimes necessary, but the argument must be made with great care. I hope that we will have more clarity rather than hate and divisions. In the end, we need to make careful decisions that will create a safer world for all. As we face a coming November election which will be historic on so many different levels and which could bring not just to America great tribulations but also throughout the world. The simple fact is that our acknowledged discontent is mirrored also in many countries including democracies like our own. This discontent has been exacerbated by the impact of the global “great recession” and the rise of religious conflicts which have destabilized much of the Middle East and beyond. But also by the growth a pernicious inequality and greed authored by authoritarian parties and governments and criminal corporations, banks, and super rich ideologues among the elite. In America, it has been a deliberate trajectory sent in motion by much of the Republican Party and the mainline conservative media not least Fox news and “talking heads” hate radio shows spuing bigotry, lies, greed and far right-wing attacks on minorities, the poor, and good science. Not least, a key enabler was the Koch Brothers and others with the buying of State legislators, support for rigging of elections against minorities and other opposition voters, and backing candidates filled with hate and racism. Trump which made a name as a Birther” an act of pure racism; a man who wants to build a wall with Mexico, keep Muslims out of America, and destroy our relations with our allies, and thinks Putin is just lovely. But he and the Republican Tea Party and its racists are also a threat to our some 250 years as a democratic republic. Yet beyond America, we are seeing true threats to democracy, human rights, sense of a wider cooperative community and support for authoritarianism. This is accompanied also by particularism, narrow right wing nationalism of the neo-fascist Hitler type in Europe and beyond. We will see soon a vote in Great Britain on the question of continued membership in the European Union. This crackbrained self-defeating idea is spurred by just the forces we have noted. The vote will take place on June 23rd and I plan to be in London to observe one of the truly great historic debates about the future of Europe which could lead to the ascendancy in Britain to the same kind of governance we could see in Donald Trump and those he would put in power. Yes, we have a common problem. Britain has Boris Johnson, who may run for Prime Minister on the Tory ticket who makes Hitler comparisons that are outrageous and seems to hate the idea of a peaceful and united Europe (what is the other option?). And is also a bit crazy. We have Donald trump who makes racist, bigoted remarks, lies, and impugns our presidents birth place. He also seems to disparage a united Europe and NATO and admires the dictatorial and aggressive Vladimir Putin. And yes both have the same hair style! The EU is an attempt, so far successful, to keep “Europe free and safe” The reality remains that the EU and the idea of a peaceful united Europe was and is a common dream of much of Europe and the UK; it remains the most significant result of Europe’s enlightened polices that brought prosperity to Europe, and held back aggression from the Soviet Union. That unity is as needed in today’s high risk world as it was in the 1940s and 50s. Within the continent there are equally dangerous forces on the right that have already bred authoritarian governments in places like Poland, Turkey, Hungary, and in many places the rise of neo-Nazi and racist parties. More on this trend in another post. In summary, Both Johnson and Trump are guided by an ignorant a-historical perspective and driven by misguided far right ideology along with dangerous personal ambitions that would put America, Britain, and Europe along a path of mutual destruction. National security requires many factors not least a sense of common decent goals, committed allies, and a moral center with wise leadership. These all are in danger on both sides of the Atlantic and beyond. In many ways these trends may be as dangerous to national security than what we face from Russia or China. This new last section looking at 2016 will cover the future role and the question of how to make more effective international institutions and American presidential politics and the foreign and security issues implications for America’s future global role. We will look at the implications for American foreign policy of the debate we are seeing in both parties and foreign reactions and the cost to America of the wrong choices. THE POVERTY OR POTENTIAL OF INTERNATIONAL INSTITUTIONS? All of the challenges we have outlined in these three posts on 2016 require a major restructuring and strengthening of our international institutions. A this point is it difficult to see how this goal can be accomplished with the weak and in-warded turning we are seeing in too many countries developed and developing. Yet without strong international bodies we are likely not to solve the many problems that plague our globe in this century. A whole new rethink is needed and new powers and resources for organizations like the World Bank, IMF, UNHCR, NATO, UNICEF, WHO, UNEP, UNDP, World Food Program, and others are needed and needed now. Not least is new mandates for the United Nations in areas like Peace Keeping and conflict prevention, poverty, and not least humanitarian preemptive actions against the horrors we are seeing in the 21st century. We need to strengthen the mandate of the “Responsibility to Protect” at a time when the wanton destruction of innocent human lives is spreading like a virulent disease throughout the world. And yes more resources will be needed. In the refugees and displaced person area we are seeing an ongoing catastrophe and the resources are wholly inadequate to the need and lack of resources only compounds the desperate trend towards conflict and displacement and massive deaths of those seeking safety outside their daily killing fields. The same must be said about urgent need to deal with climate change on a broad multilateral basis. This added international capability goes for stopping the spread and impact of disease. Here we need to think of new ways to raise resources on an international scale that can be allocated to addressing such existential threats and risks. Given the parsimoniousness of national commitments to solve these dangers to all of mankind, ideas like taxing international resources exploitation of the international commons, like the oceans and commercial use of inner space, of shipping, air flights, and, not least, of international financial flows are among the options. We and our children will regret we turned our back at this time to such solutions and permitted even greater cost to humanity and our environment by not taking up these new resource options. While this subject will be returned to as this year progresses, It is important to recognize that American leadership is critical to the advancement of any of the goals we have examined. The simple truth is the outcome of the election will either set the direction and success of dealing with our challenges or result in a common global disaster. In the Republican camp we are largely seeing what can only be described as the “Camp of War” and “Climate Change Deniers” but also the camp of those who, without exception, are people of little understanding of how world politics, ensuring security, and the global economy really works. 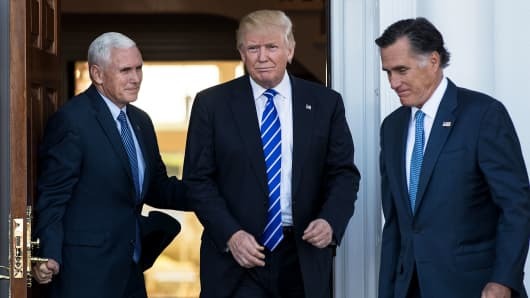 The leader of this pack, is Donald Trump and his approach to national security and foreign affairs. It is the most radical and ignorant approach we have seen in a long time. One of the most interesting and despicable events of 2016 is the love feast between Donald Trump and President Putin. But support of torture and water boarding as well as building walls and stigmatizing all Muslims and immigrants indicates a lack of balance and bigotry. It also is counter productive to fighting ISIS. The same can be said of Sen. Ted Cruz, while he is a bit more agile debater than Trump, his opting to be even more extreme than his opponent poses an equally danger to American security. Recent debates and statements only reinforce their similarities. They each see the other as ruthless. Both are right. They are into mass killing of people, and bullying others as their prime opus operandi. Their mutual hate of minorities, and opponents and indifference to the needs of common people or to the values really of democracy itself can only lead to national and international upheaval. They have been found as misleading and not truthful and believe in ideas that are antithetical to a sane decent society. They have already scared many leaders and citizen abroad about America’s direction. In the Democratic camp we have two strong candidates with less policy gaps between on many domestic and foreign policy issues. But the differences that do exist are important in some foreign affairs areas. Hillary is clearly more “moderate” as distinct from “liberal” and more in line with the agendas of the rich than her opponent. She has taken in more than $21 million from the financial sector in campaign support. She Is also more an advocate for a more robust military role than Obama or Sen. Sanders. She has in her rhetoric move closer to Sanders on her stand on trade agreements and inequality. Sen. Bernie Sanders clearly is proud of his “democratic socialist” label which in reality is not much different from the mainline British Labour Party, and his foreign affairs stance is much in line with that of President Obama in having much caution in getting the US unilaterally involved in “endless wars” in the Middle East and using “smart power” rather than raw stupid kinetic massive ground forces. He advocates sharing the burden of opposition to terrorism which he believes should be destroyed, but with our allies and regional powers including Muslim nations, rather than the kind of foolish blindness to reality approach George W. Bush used in Iraq. Both support dealing with climate change, on human rights, support for the United Nations, and for cooperation on global development and environment. On fighting inequality abroad and at home both think it is a problem but with Sanders clearly more focused on this issue. They both support the Nuclear Test Banned Treaty (CTBT) and cooperation in NATO and with EU on terrorism and refugees. Both now oppose the Pacific Trade Agreement but Clinton is a recent covert to opposition and in this they differ from President Obama. Already America is paying a cost for the caustic nature of the Republican debate and as well as the actions of the GOP in Congress impeding actions on the CTBT, Law of the Sea Treaty, opposition to the Iran nuclear agreement, and added resources for diplomacy. Our foes and our allies already have expressed either joy over our discontent or horror at its implication for their security and economy. My contacts abroad, all our friends, do not understand this drift towards craziness, bigotry, hate, and stupidity. We will see and examine in the coming months how much international issues are drawn into the front of the stage of the presidential debates. What is likely is that external and domestic terrorist acts, the global economy, and other key disruptive events will propel national security and foreign affairs into the mainline of debate especially after the conventions make their choices. See above box for our section on 2016 Presidential Quotes by both party candidates on this blog.